STRONG COX TEAM HEADS FOR LADBROKES ST LEGER FESTIVAL DONCASTER CUP HOPEFUL ELECTROLYSER. 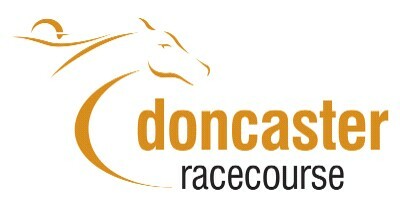 Day three of the 2010 Ladbrokes St Leger Festival, Friday, September 10, features the £100,000 Group Two Doncaster Cup (2.40pm), run over two and a quarter miles and the oldest race run under the Rules of Racing. Featuring among the 14 entries for this historic contest, first staged in 1766, is the Clive Cox-trained Electrolyser. The lightly-raced five-year-old, a grey son of Daylami, has made the progression from handicapper to Pattern race performer this season, performing admirably on his three starts of the current campaign. After a third behind Illustrious Blue in the Group Three Sagaro Stakes at Ascot in April, Electrolyser went on to run that rival to a length and a quarter in the Group Two Goodwood Cup in July and on his latest appearance didn’t enjoy the clearest of runs when fourth in the Group Two Lonsdale Cup at York in August. Cox reported: “Electrolyser is very much on course for the Doncaster Cup. He has come out the York race very well and we have been thrilled with his performances so far this year. Hopefully, it won’t be long before he takes one of these big staying races. “He improved on his form with Illustrious Blue, who beat him at Goodwood, in the Lonsdale and I would be hopeful that he is still on an upward curve. “The only time that he has previously raced over two and a quarter miles was in last year’s Cesarewitch but that was a non-event. He got very badly hampered coming round the bend at Newmarket and was very lucky not to fall, which was the end of the race for him. The Lambourn handler is also planning to be represented on the final day of the Ladbrokes St Leger Festival, Saturday, September 11 by stable stalwart Balthazaar’s Gift in the £160,000 Eddie Stobart Park Stakes while Polly’s Mark is an intended starter in Thursday’s Group Two £100,000 DFS Park Hill Stakes. The Lambourn handler continued: “We are also hoping to send up Balthazaar’s Gift for the Eddie Stobart Park Stakes. He missed the Hungerford Stakes at Newbury after the ground came up too easy at Newbury, but the weather forecast looks promising for Doncaster. “He didn’t get the best of luck in running in this year’s Betfair Cup (when finishing fifth) but that’s the rub of the green. He is still a high-class performer and, given his best conditions, we are very much looking forward to seeing how he gets on next week. “Polly’s Mark will be going for the DFS Park Hill Stakes. The ground was very, very soft on her latest start at Deauville and it turned into a bit of a sprint, which didn’t suit her. 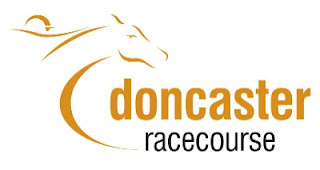 Other entries for the Doncaster Cup include last year’s winner Askar Tau plus Opinion Poll and Samuel, who were first and second respectively in the Lonsdale Cup at York, and the progressive Motrice. A potential Irish challenge of five features recent Galway Listed scorer Rajik and Dirar, who gave Grand National-winning trainer Gordon Elliott the biggest Flat success of his career when taking the prestigious Ebor handicap at York last month. Friday, September 10, also feature high-class two-year-old action with the £80,000 Group Two Polypipe Flying Childers Stakes getting the afternoon underway at 1.35pm. Featuring among the 17 entries for the five-furlong contest are Group Three Molecomb Stakes winner Zebedee, Group Two Queen Mary Stakes runner-up Meow and Dinkum Diamond, who acquitted himself well against the best sprinters in Europe when staying on to take seventh in the Group One Nunthorpe Stakes at York’s Ebor meeting. Juvenile fillies get their chance to shine in the £80,000 Group Two Keepmoat ‘Delivering Community Regeneration’ May Hill Stakes (3.15pm), a race won in recent years by subsequent high-class performers Spacious and Rainbow View. Among the 12 possible starters in this contest is White Moonstone, who posted a decisive victory on her latest start in a Newmarket Group Three, and impressive Curragh maiden winner Spin. Also taking place on Friday’s seven-race programme is one of the season’s most competitive handicaps, the £60,000 Ladbrokes Mallard Handicap (2.05pm), which is run over the St Leger distance of one mile, six furlongs and 192 yards and has attracted 35 entries. The going at Doncaster remains Good to Firm.